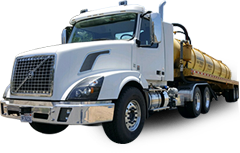 Abbott Septic Service is the hardest working company in the business. If you want the job done right the first time call them, otherwise if you hire someone else you'll end up calling Abbott Septic to correct their mistakes. The business is family owned and his father whom he got the business from is a very hard working man as well. I highly recommend Abbott Septic Service as they are the best in the business. He has all the equipment and expertise to give you the best service possible.